FREE! Treat yourself today to this wonderful collection of short stories that highlight various kinds of love. Not just the romantic kind, but also love for family, pets, and country. 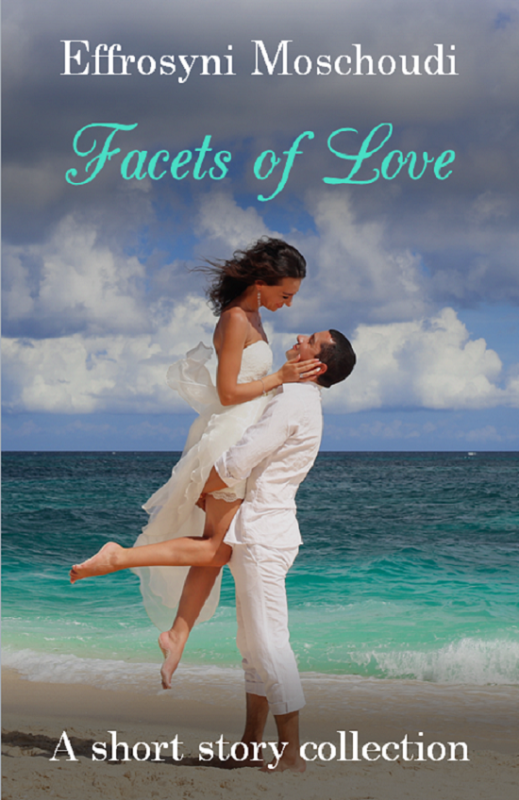 Facets of Love will introduce you to stunning locations around Greece. The fantasy elements contained in some of the stories are bound to enchant you! "I loved the variety of voices, characters and motifs I encountered. From blooming love, second chance love, to the innocence of children, grandma’s wise words, to Greek pride." The ebook (a PDF) is available on the website as a welcome gift to Effrosyni’s new email subscribers. The paperback can be ordered from Amazon and all bookstores.